The following is based on a conversation Ronit Molko, Ph.D., BCBA-D and Dr. Evian Gordon, Chairman and CEO of Brain Resource. 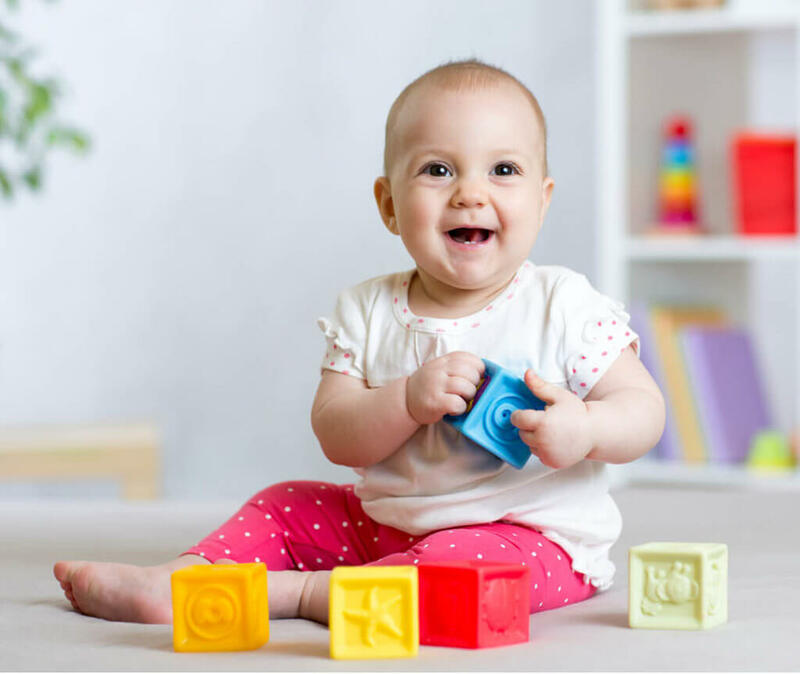 The development of the brain is a fascinating and essential aspect of child development. The science behind the brain provides parents and practitioners valuable insight into why early intervention is so important for individuals with autism and other developmental disabilities. At birth, a child’s brain is unfinished. It develops as they experience the world through seeing, hearing, tasting, touching and smelling the environment. The natural, simple, loving encounters with adults that occur through the day, such as a caregiver singing, smiling, talking and rocking their baby, are essential to this process. All of these encounters with the outside world affect the child’s emotional development and shape how their brain becomes wired and how it will work. The experiences of babies have long-lasting effects on their ability to learn and regulate their emotions. When there is an absence of appropriate teaching and learning opportunities in the baby’s environment, the brain’s development can be affected and there are more likely to be sustained negative effects. Conversely, if we can provide ample learning opportunities, we can facilitate brain development. Let’s understand how and why. Learning is about connection. A baby is born with more than 85 billion neurons in its brain. Neurons are nerve cells in the brain that transmit information between each other through chemical and electrical signals via synapses thereby forming neural networks, a series of interconnected neurons. This is what is meant by “the wiring of the brain” and “neurons that fire together, wire together”. As an infant experiences something or learns something for the first time, a strong neural connection is made. If this experience is repeated, the connection is reactivated and becomes strengthened. If the experience is not repeated, connections are removed. In this way, the brain “prunes” what is not necessary and consolidates the connections that are necessary. During infancy and the first years of childhood, there is significant loss of neural pathways as the brain starts to prune away what it doesn’t believe it will need to function. The earlier in a child’s development that we create that first, correct learning experience the stronger those behaviors and skills are secured in the brain. Children with developmental delays often experience the wiring of neurons together in a manner that is “unhelpful”, causing them to struggle with communication, social skills and other activities. These “unhelpful” connections need to be changed, which adds to the challenge and takes time. Technically, learning cannot be undone in the brain, but amazingly, with stimulation, the brain has the ability to re-process new pathways and build circuits that are helpful and functional. The brain has a remarkable capacity for change and adaptation, but timing is crucial. The earlier we create the correct connections in a child’s brain, the stronger those behaviors and skills are secured in the brain. Intervention is best during early childhood when there are 50 percent more connections between neurons than exist in the adult brain. When a child reaches adolescence, another period of pruning begins where the brain starts to cut back on these important brain connections, and neurons that have not been used much. For children with all types of learning difficulties and developmental disorders, this understanding of the brain’s plasticity is particularly relevant, because it emphasizes why the correct type and intensity of early intervention is so critical. If we correctly understand a child’s skill deficits and design a program that appropriately stimulates the neurons in the targeted weakened areas of the brain, we can exercise and strengthen those areas of the brain to develop language, social skills etc. So how do you train your child’s brain? In order to change the brain’s wiring and make new neural connections, a new skill needs to be practiced many times so Dr. Gordon recommends starting with one, simple task and practicing it at least 10 times per day. Measure how long it takes for your child’s behavior to change. This will help you determine your child’s rate of learning. An example of a simple task would be teaching your child to follow a simple instruction using a preferred item such as asking him to eat his favorite food. You can then move onto a more complex activity such as requesting eye contact by saying “Look at me” and then something more complex such as “touch the car” when playing with a toy car, for example. There are many opportunities throughout the day during normal daily parenting activities (bathing, feeding, diapering, reading, etc.) during which you can support your child’s development and train his brain to respond to people and his environment. One common question is what is possible with the brain after childhood? For many years, science has told us that brain plasticity is at its peak during childhood. However, experts now believe that under the correct circumstances, practicing a new skill can change hundreds of millions, if not billions, of connections between nerve cells in the brain even into adulthood. It is never too late to start. The most important thing to remember is that learning is what changes the brain and learning takes practice. Every opportunity to teach your child is an opportunity to shape their brain and change their future.